The Chicago Teachers Union wrote of George's "tremendous legacy as a champion of labor" on the CTU Facebook page the morning of George's death. In their personal Facebook posts, Jesse Sharkey, CTU President, and Christine Geovanis, CTU Director of Communications, both who attended the Sept. 20 visitation for George, posted the following messages. 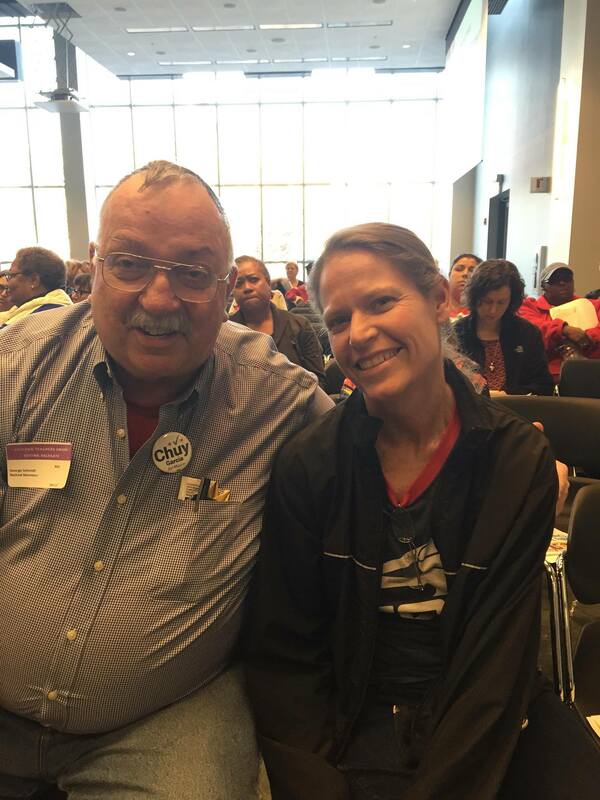 George and Sharon Schmidt at the Chicago Teachers Union House of Delegates meeting in April 2015. George was a retiree delegate, Sharon a delegate for Steinmetz High School. Photo by Jesse Sharkey.